Hello, and welcome! I made this card to demonstrate the Faux Linen Background technique that I used for last week's Watch Me Wednesday. I used one of our Whisper White Notecard bases, along with the Climbing Orchid Stamp Set, and matching dies. 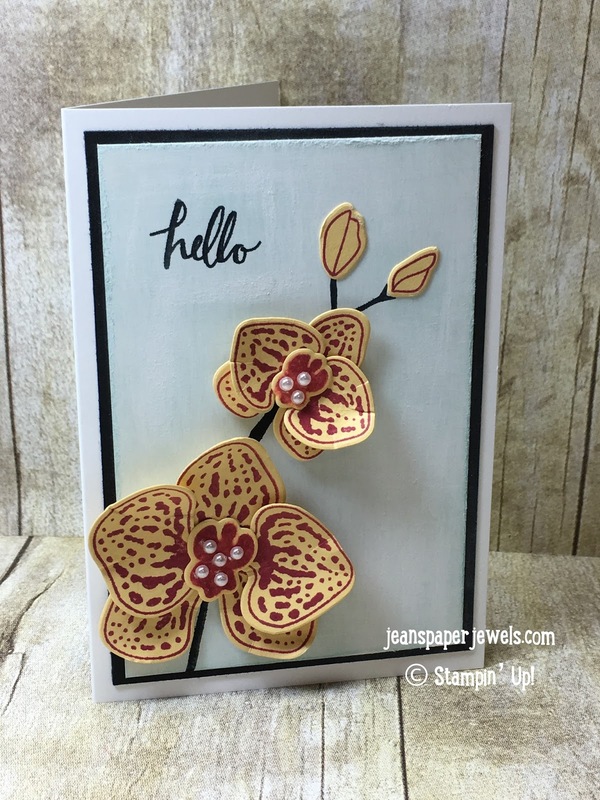 I love orchids, and this combination makes it easy to replicate them with card stock. You can check out the video HERE.